A burglar who was trying to force the lock of a Leamington flat fled empty-handed when the occupier opened the door to confront him. But Paul Dean was arrested a few days later after the resident was shown pictures of a number of local offenders – and picked him out. Dean, 50, of Crown Way, Lillington, was jailed for 12 months after pleading guilty at Warwick Crown Court to attempted burglary with intent to steal. Prosecutor Ian Windridge said that at around 8 o’clock on the morning of November 17 last year, a man was at home in his flat in a converted house in Clarendon Square, Leamington. He heard a tapping sound from his door, and saw it moving slightly before he then noticed the lock starting to move in its fixture. So he opened the door and saw Dean, who claimed he was looking for someone called Martin, and then left. The occupier called the police who showed him images of a number of local offenders, and he picked out Dean as his would-be intruder. When he was arrested five days later, Dean said he had been sleeping rough in the building. 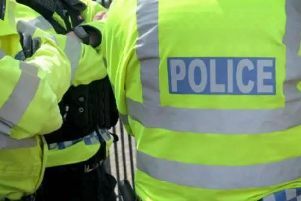 He had a number of plastic cards on him with damaged edges, which Mr Windridge said the police believed he had been using to try to tamper with door locks. Mr Windridge added that Dean’s previous convictions included 65 for dishonesty, including burglaries. But because his latest offence was only an attempt, he was not facing the minimum three-year sentence as a ‘third strike’ burglar, he pointed out.